This entry was posted in Hanover Kitchen Remodeling Kitchen Countertops Kitchen Remodeling York Kitchen Remodeling and tagged Custom Kitchens Kitchen Remodeling Kitchen Remodeling Hanover PA Kitchens Hanover PA on August 19, 2014 by Jake Sponseller. How do you know when to replace your kitchen’s countertop? More than likely, it’s not now. Countertops are one of those things that can last for decades. If you’re happy with your material and color, then there’s no reason to change. There are however a few circumstances where you may want to upgrade. Generally, you’ll want to change your countertop upon changing your color schemes. If you find yourself painting cabinets or possibly changing flooring, then you’ll want to change your countertop to match with your new vision. Or maybe you purchased a new home and you find that the existing countertop requires too much upkeep and it’s too difficult for you to maintain. Then, there’s always the possibility that your countertop has been damaged beyond repair. This usually happens with a stone countertop like marble or granite. Even though they are nearly indestructible, they are still natural materials that can be damaged. Although, these scenarios may only come up once every twenty years, they’re still scenarios you as a homeowner will encounter. Below we will discuss whether or not you need to replace or repair and how to choose another countertop if it’s time to replace. If you still like your current countertop and money is tight, you may want to think about revitalizing the existing top. 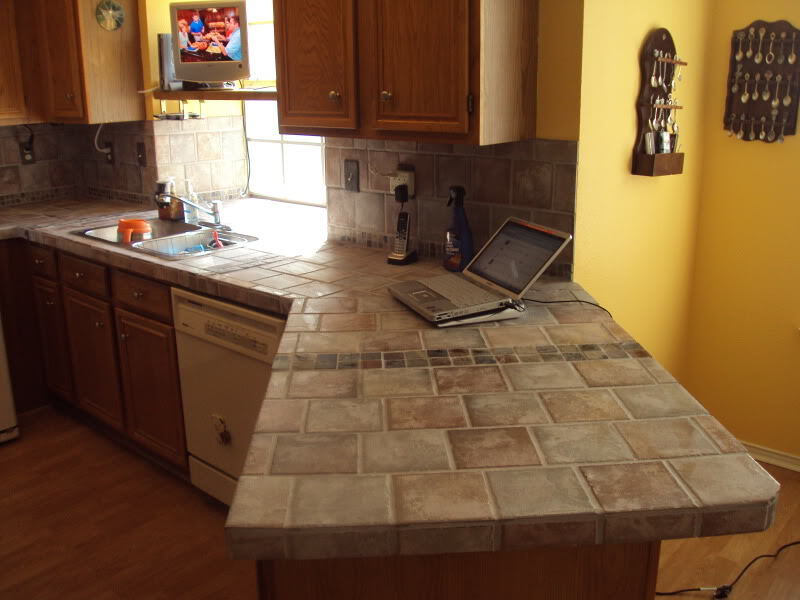 There are many situations where fixing your current countertop would be the more cost effective option. Laminate countertops can be polished to take out scratches. They can also be patched, painted, relaminated, or tiled over to give it a new look. When a stone countertop is chipped, it can be repaired by saving the fragments. Those fragments are then adhered back in place using epoxy glue. It’s always a good idea to look into your situation to make sure you are making the right decision. In some circumstances however, countertops are damaged beyond repair. So you find yourself looking for a new one. Where do you start though? What material do should you use? We are going to go over all of that. 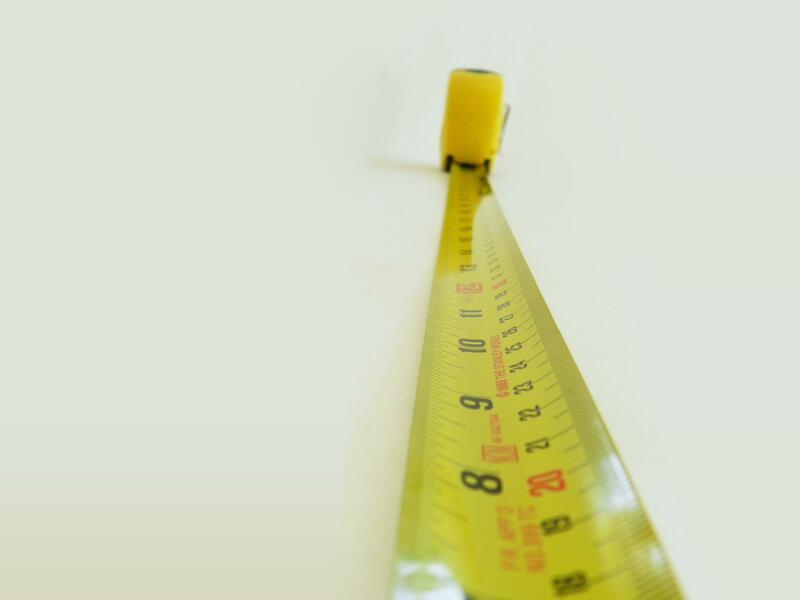 Before you even go out looking for a new countertop, you need to measure! 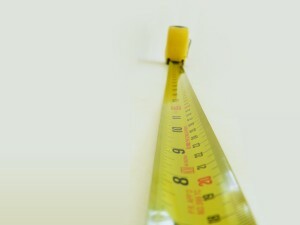 If you already have measurements, great! But if you don’t, there’s a proper way to get the right measurements. First, you should make a sketch showing countertop placement in your kitchen. Then mark off sections of continuous countertops, sink countertops, and peninsula and island countertops to measure separately. Measure the length and depth of each section, multiply the length by depth to determine the area in inches, and write down the measurements on your sketch. Do the same for each section of your countertop. Then divide the area measurements by 144 to determine each sections square foot. Add all those numbers up to get a total square footage for materials needed. Having this number will help you get a better price estimate upon going out and looking for a new countertop. 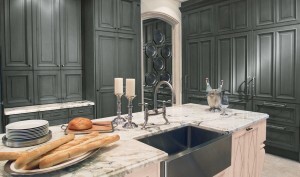 Just like anything else, there are constantly new countertops coming to the market. There are so many options to choose from. How do you know which material will best suit your lifestyle? We are going to go over some of the most popular materials and what are some pros and cons of each one. Granite is one of the most popular countertop materials to choose from. Granite gives you very unique colors and patterns due to the fact that they are natural stone and each one is one of a kind. It also stands up to knife scratches, heat and other wear and tear. 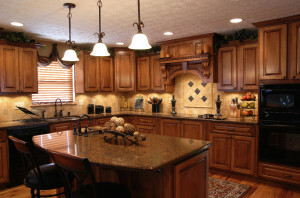 However, like other stone countertops, granite must be resealed every so often to avoid stains. Also, due to its weight, you will need a strong cabinet box to support its weight. Granite normally cost anywhere from $35 to $100 per square foot. Laminate is another material that is very popular. Laminate is probably the most popular because if its low cost. It requires little maintenance and because if its low weight, you don’t need a strong cabinet support. Laminate is prone to scratches though and also may begin to peel with wear and moisture exposure. Also, because of its raw particle board core, you cannot use it with an undermount sink. Laminate normally cost between $10 and $30 per square foot. One material that works with almost any kitchen style is tile. Tile countertops give you many of different colors to choose from. It is great at withstanding scratches and stains. 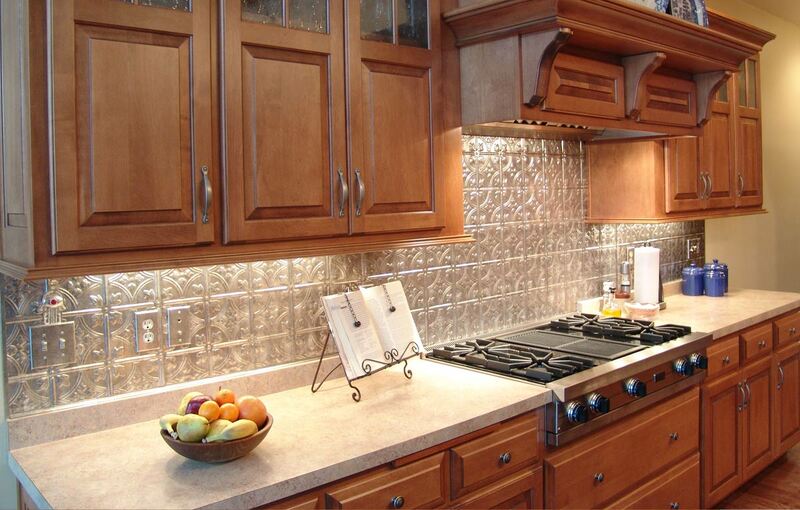 When a tile becomes cracked or chipped, they are normally easily replaced. However, unsealed grout is prone to staining. Standing moisture can also contribute to bacteria growth. Tile countertops usually cost between $10 and $80 per square foot. The last material we are going to talk about is marble. Marble is a beautiful natural stone. Like granite, each piece of marble will be one of a kind. Marble stands up well against heat, and because it remains naturally cool, it’s a great area for pastry and baking stations. Marble is very susceptible to stains though. Even with sealing, marble can stain very easily. Many homeowners choose not to use marble for their entire kitchen, but rather one or two small areas. Marble cost anywhere from $40 to $100 per square foot. Those are just a few of the countertop choices you have to choose from. Go out and find what really works best for you. Keep in mind; having your measurements already figured out will help you a lot in choosing one that isn’t out of your price range. Also, choose what you like. Like I said before, you probably won’t be doing this again for many years. Pick something that you are going to enjoy looking at for years to come. Once you pick a material you want to use it’s time to have someone come in and install it. ASJ has been serving South Central, PA with construction services for many years. If you are in the area, consider having ASJ do your installation for the best quality work.